BMW Service Denver: Are Winter Tires a Good Choice? Consider swapping out your summer tires for winter ones, or decide it’s best to get all-weather tires. Tires created just for winter will allow for better tractions on days when the roads are less that prime. If you still aren’t sure whether winter tires are a great investment for you, think about this: Snow tires are made from a softer rubber that allows them to retain flexibility during the coldest days. 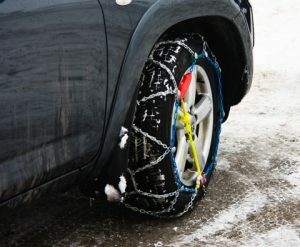 Plus, they have a tread on them that is unique and specifically designed to grip onto ice and snow-packed roads. Snow tires, although a little higher priced, are well-worth the initiative. Swap Out Your Tires Before The Snow Hits! Winter tires are hard to change by yourself. Feel free to give the BMW service experts in Denver a call. We provide BMW service to a high percentage of BMW owners in the Denver area. To learn more about our services, or to schedule an appointment to swap out your BMW’s tires, contact us online today!